WHAT: Birth is always a relationship between your 3-dimensional body (a container), and your baby’s 3-dimensional body. This course offers you all the vital hands-on skills to create space, mobility, softness, and openness inside your container. 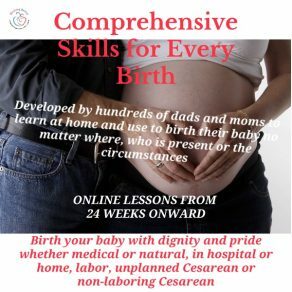 These skills should be practiced on each other then you’ll share a common body language about birth. 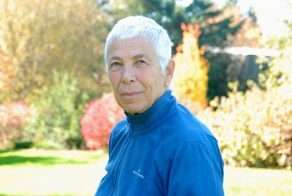 HOW: Each lesson will take you through a thorough and deep ‘hands-on feeling’ of the bones and soft tissue of your pelvis. 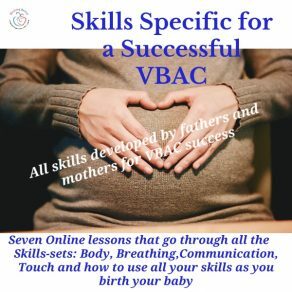 Our recommendation is for you to do these skills first on your birth-coaching partner or even friend. Each skill creates a WOW moment that gives incredible confidence in your ability to help your baby come down, through and out. A thorough experience of your pregnant/birthing body. WHY: Birthing Better families created a series of body skills because knowledge like dilation, descent, rotation made NO sense. We had to ‘feel’ how we could create space. We also had to feel how internal tension could stop our body from opening up. Fun to learn, easy to remember. Practice only until you ‘get it’ and you’ll never forget! 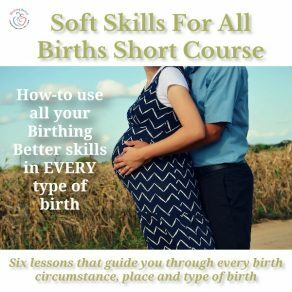 LESSON 1 … Of course, we start with an overview that is our unique Birthing Better understanding of how to prepare for the birth of our baby. LESSON 2 … A thorough overview of our bony pelvis, how to ‘map’ space your baby must come through, how to create space between the bones you sit on as well as front to back. You have the power to make heaps of room for your baby! LESSON 3 … Now you can tackle the soft tissue of your pelvis … something you probably do not know anything about. We didn’t when we started developing these skills. Experience how tension in your soft tissue can stop your ability to create space and dilation of the cervix. LESSON 4 … This lesson debunks the misinformation Women have passed on for generations about ‘best positions’. The video segments will show you exactly how to find positions your baby likes! 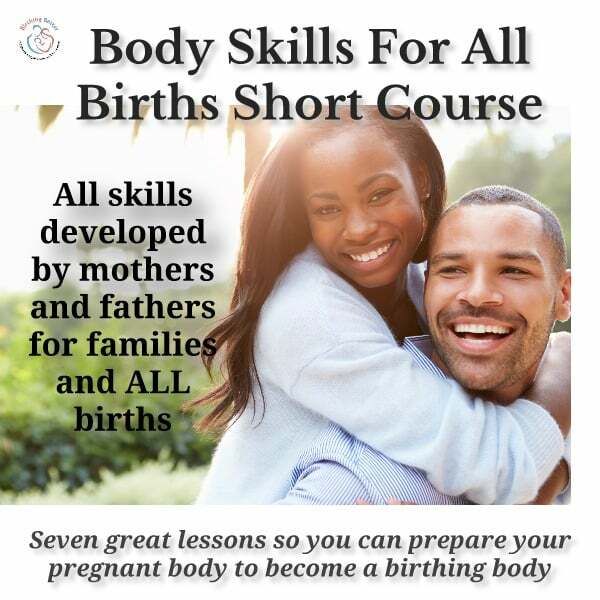 LESSON 5 … Along with The Hip Lift, Pelvic Clock and right Positions, The Internal Work is one of the most valuable Birthing Better skill fathers and mothers developed. We got real about how big our baby was and was determined to reduce or prevent delays in the dilation of our cervix or the delivery. We could help our baby by preparing our baby’s birth passage from 32 weeks onward. A must do. LESSON 6 … All your skills must be used when you feel anxious, excited, fearful, in discomfort or pain. We’ll teach you how we did that in this lesson. You’ll learn a trick of the Mind so you can feel comfortable with negative thoughts and feelings yet know you are managing brilliantly. LESSON 7 … A special lesson that interprets the messages your baby gives you throughout each contraction during labor. Having this one skill can prevent long labours, help you deal with niggling and non-progressing labor as well as a delay in 2nd stage.